Fifth Meridian Travel, LLC provides a wide range of travel services, specializing in luxury travel, cruises, and adventure holidays. Whatever your travel and tourism needs may be, Fifth Meridian Travel has a qualified specialist who is ready to help make your next vacation the trip of a lifetime. And, we have agents who are fluent in English, Spanish, Italian, and French, so booking your dream vacation couldn't be easier. Fifth Meridian Travel is a full-service travel agency, providing our clients with the full range of travel services, including airline ticketing; hotel reservations; rental car arrangements; train tickets and other transfers; and, local guided tours. 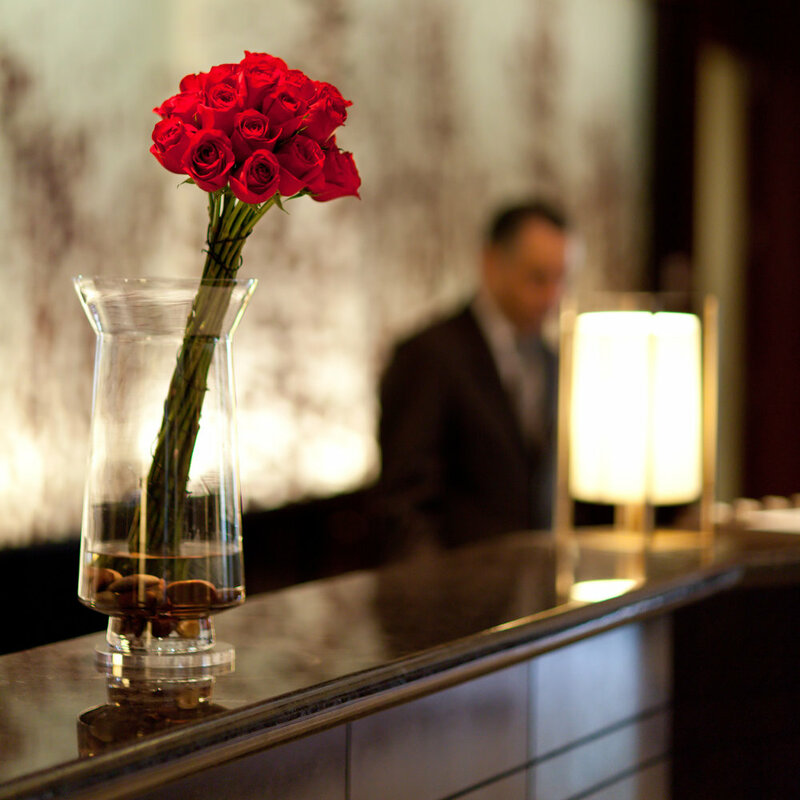 Our expert concierge service includes restaurant reservations; theater, ballet, opera, and concert tickets; and, tourist information. Whatever your destination and however you wish to spend your time once you get there, a Fifth Meridian Travel specialist is available to help make your next holiday or business trip completely hassle-free. Your wedding day is one of the most important days of your life, and it should also be one of the most memorable. Having a destination wedding can make the occasion even more memorable still, but it also presents logistical challenges that can be extremely tedious to even the most organized couple. Whether your destination is domestic or international, the minutia of travel planning can quickly become daunting, but the travel specialists at Fifth Meridian Travel (a DWHSA-certified agency) are here to help. Letting us handle the travel-related aspects of your destination wedding will ensure that in the weeks and months leading up to your big day, you and your groom- or bride-to-be will have ample time to devote to what really matters: each other. From safaris, to kayaking, to hot-air ballooning, and beyond, the travel specialists at Fifth Meridian Travel have the knowledge and experience to make your next trip every bit as thrilling as you want it to be. Whether you're a veteran hiker interested in spending two weeks exploring the majestic terrain of Tierra Del Fuego, or a novice rock-climber interested in honing your skills in a supportive but exotic environment, a Fifth Meridian Travel specialist will arrange a trip that is perfectly suited to your budget, interests, and level of experience. We also offer competitive rates on travel insurance, so you're covered in the event of an emergency. Fifth Meridian Travel, LLC is a vegan-owned, animal-friendly business. We do not book tours to SeaWorld or other similar attractions, such as rodeos, bull-fights, and elephant-rides, that profit from the exploitation of animals. So, if you're a vegan (or a non-vegan) interested in visiting or volunteering at an animal sanctuary in a particular country; or you want to visit a particular continent's most vegan-friendly city; or, if you simply want to be assured that vegan options will be available on your next cruise or holiday, a Fifth Meridian Travel specialist will gladly arrange an itinerary that guarantees an unforgettable vacation for you, while doing no harm to our animal friends. At Fifth Meridian Travel, we realize that every moment of your vacation or getaway is precious and that you don't want to waste a second of it searching for flight numbers, looking up train departure times, or tracking down other information related to your trip. That's why we give our clients the option of having their itineraries accessible in our incredibly easy-to-use app. Compatible with iOS and Android platforms, the app not only puts every detail of your trip directly at your fingertips, but also allows you to communicate directly with your travel advisor in real time from virtually anywhere in the world. Like virtually everything else in life, the joy of travel is increased immeasurably when done in luxury. Fifth Meridian Travel can make your next trip the most luxurious imaginable by combining first-class air, train, or ship travel with five-star accommodations, gourmet dining, and top-notch concierge service at the world's most exclusive destinations. To whatever part of the globe you wish to travel, a Fifth Meridian Travel specialist can help make every aspect of your trip -from the moment you leave your home, to the moment you return- an experience fit for royalty. At Fifth Meridian Travel, we believe in equality and that a person's sexual preference and gender identification are not a basis for any form of discrimination or prejudice. And because no one's sexual preference or gender identity should be an impediment to safe and enjoyable travel, we go to great lengths to make bespoke travel arrangements that are tailored specifically to the needs of our LGBTQ clients. Whether you're traveling alone, as a couple, or with a group, our travel specialists will work with you to find the perfect destination and then design an itinerary tailored to your exact needs and preferences. And our convenient and easy-to-use app means that your trip details are always at your fingertips. Let one of our travel specialists get started on your trip of a lifetime today. For those whose notion of an ideal vacation involves rest, relaxation, and rejuvenation, the specialists at Fifth Meridian Travel have just the thing. We've visited some of the finest spas and resorts around the globe and we bring our first-hand knowledge of their treatments, programs, amenities, and facilities to the conversation about your dream vacation. If it's yoga and meditation you're interested in, or just the indulgence of receiving daily massages and beauty treatments between sessions of luxuriating in a sauna, a Fifth Meridian Travel specialist will curate a relaxing vacation tailored to your exact preferences, so you return feeling refreshed and invigorated. Fifth Meridian Medical is a Certified Medical Tourism Professional, certified by the Medical Tourism Association. There is no better way to quickly capture the beauty and personality of an exotic locale than through the medium of photography. At Fifth Meridian Travel we understand the power that a good photograph can have to invoke the feeling of a time or place, but getting that good photograph can be difficult for non-experts. That's why we offer photo expeditions lead by experienced, professional photographers who advise tour participants on all aspects of making exceptional photos. From the technical requirements of the field, to the elements of good composition, our photographers bring years of experience to the job, helping you make the most of your vacation of a lifetime. Shouldn't the perfect vacation, business trip, or other getaway involve freedom from the burden of everyday obligations, such as researching ticket prices, making reservations, and planning excursions? We think so. Which is why at Fifth Meridian Travel, we offer our clients top-notch concierge service. Whether it's theatre and opera tickets, reservations to an exclusive restaurant, or ringside seats at a sporting event, our travel specialists are available 24/7 to do the research, make the reservations, and book the tickets on your behalf, giving you the freedom to enjoy every moment of your trip. At Fifth Meridian Travel, we are avid cruising enthusiasts. Our travel specialists have sailed to literally dozens of countries around the globe and have first-hand knowledge of some of the world's most fascinating ports of call. Our years of first-hand experience aboard some of the industry's most elegant ships and our extensive knowledge of the world's most remarkable cruising destinations give us an insight into the industry that is invaluable to anyone interested in taking a cruise. So, whether you want to sail for a week, or for an entire year, Fifth Meridian Travel has the insight and expertise to make your next cruise the cruise of a lifetime. No matter how much you travel for leisure, very few trips you ever take will be as significant as your honeymoon. With the social obligations and other pressures of the wedding behind you, your honeymoon is a time for you and your freshly-minted husband or wife to enjoy each other and take a break from the world. And shouldn't a trip as important as your honeymoon be as meticulously planned as the wedding that precedes it? We think so. And that's why the travel specialists at Fifth Meridian Travel will spare no effort to make your honeymoon the trip of a lifetime. Learn more about our bespoke romantic travel service by clicking the button below. One of the best ways to experience the culture of a region is to enjoy its distinctive cuisine, prepared with fresh, local ingredients by the caring hands of people who have inherited the region's culinary secrets from previous generations. The travel specialists at Fifth Meridian Travel are experts in the curation of custom culinary tour packages that include private and group vineyard tours, wine tastings, and cooking classes. We also secure reservations at exclusive restaurants that feature authentic and traditionally prepared regional specialities. So if your idea of travel involves taking in the gastronomic delights of the countries you're visiting, a Fifth Meridian Travel specialist is here to help make that happen. For those who enjoy doing things at their own pace, nothing compares to the freedom and excitement of traveling alone. While traveling with a partner or a group certainly has its advantages, sometimes the best trips are those taken by oneself. But there's never a reason to plan a trip, solo or otherwise, without the guidance and assistance of a qualified travel professional, and Fifth Meridian Travel is here to help. We'll advise you on the best (and safest) places to visit and the best time of year to visit them, and of course, we'll handle every aspect of booking your itinerary at the lowest rates available. And no matter where you go, you'll have all your travel details at your fingertips with our convenient travel app. No matter what the occasion, the experienced specialists at Fifth Meridian Travel will design your event for you, worry-fee! From beginning to end, venue to place cards, entertainment to accommodations, we take care of it all! With years of experience and personal relationships with the best venues, suppliers, and caterers, we can guarantee that your event will be a complete success! So next time you want to have a charity gala, corporate retreat, or team building excursion, contact us to create it for you!